Vanliners are currently one of a very select group of approved Ford commercial vehicle converters. They can offer a wide range of bespoke shelving solutions which are tailored to each customers' individual requirement. 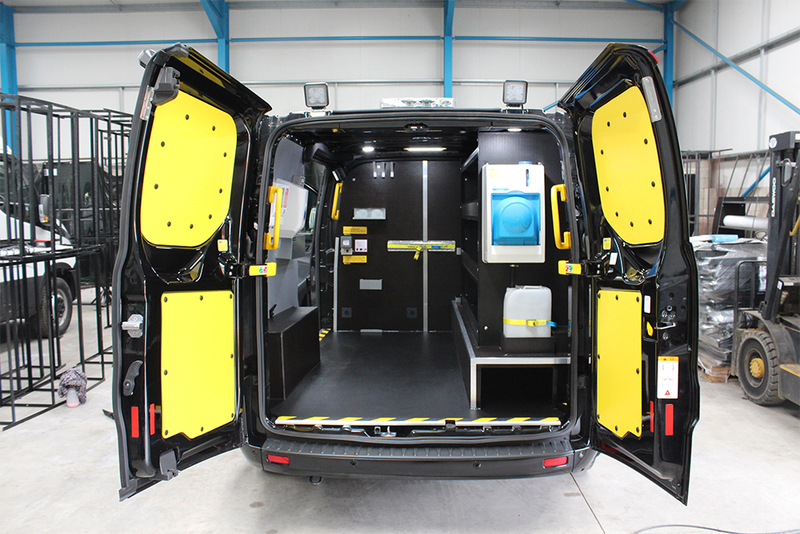 Vanliners range of Modular, Lightweight plastic and plywood solutions are fully adaptable and available to suit any fleet size. 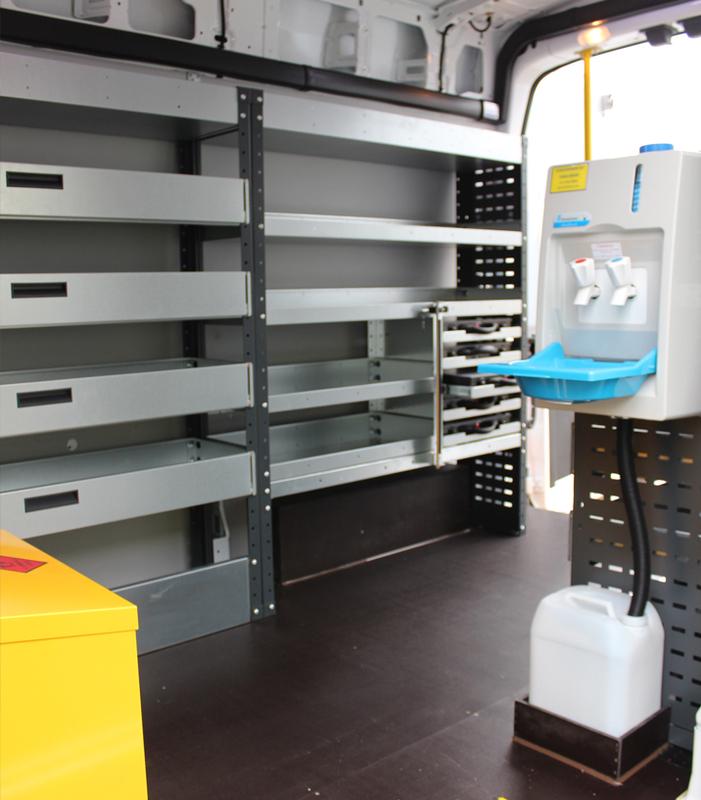 Vanliners modular shelving has been developed to offer a flexible, adaptable and affordable solution to securely storing tools, parts and equipment. The modular systems are available in both steel or lightweight aluminium and are offered in a wide range of formats including the use of; Workbenches, drawers, hazardous chemical cabinets and roller shutter doors. All of which can be combined to create the perfect working environment for any trade no matter how large or small. 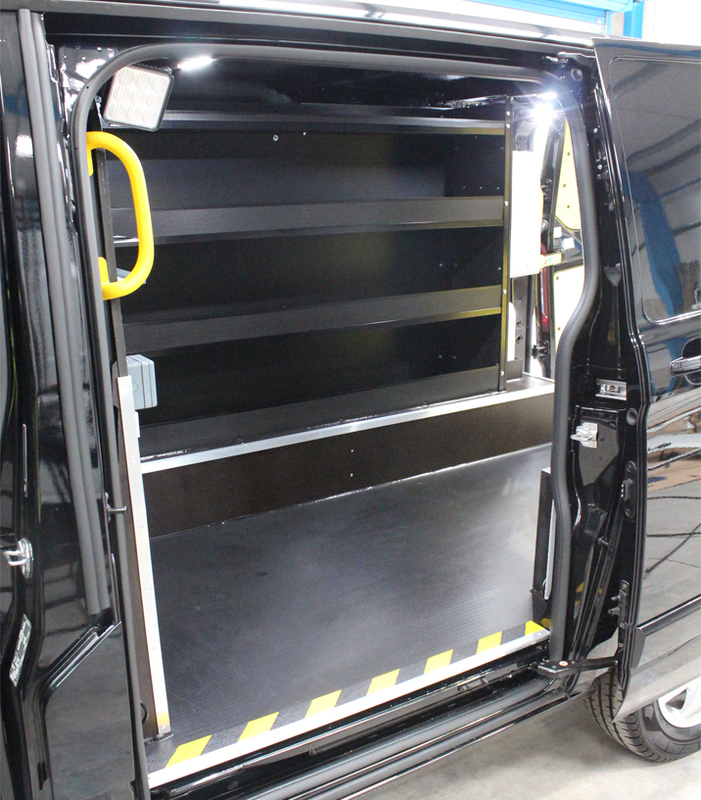 Vanliners Lightweight shelving is a new in-house concept which has been developed with fleet managers in mind. This shelving uses the initial features that are standard with plywood shelving. However, unlike plywood the lightweight plastic shelving has a number of advantages. 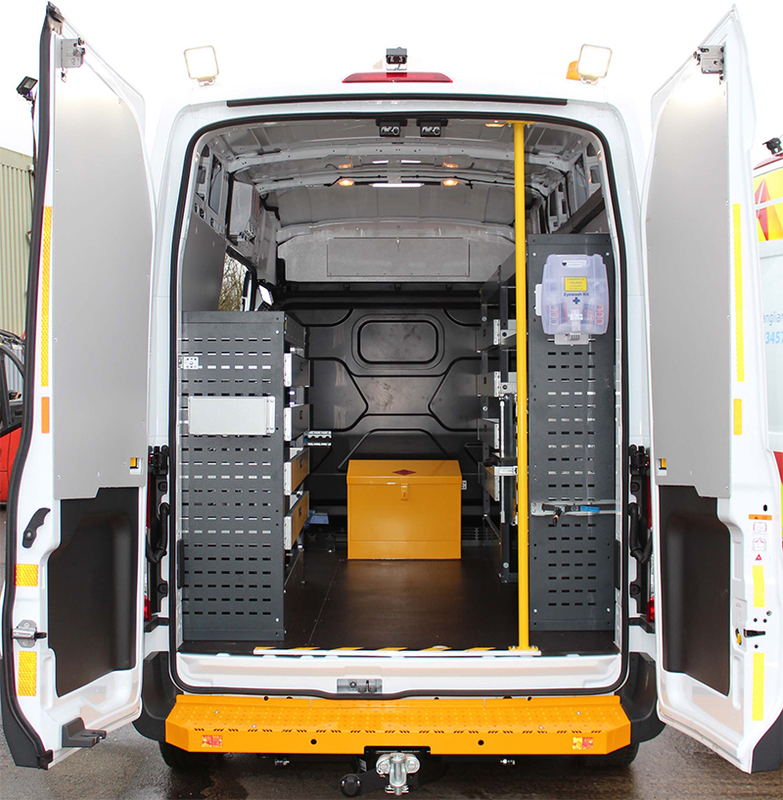 Fully contoured to the shape of the vehicle, meaning that the whole load area is utilised. Each shelf is designed to follow the vehicles natural contour removing any unnecessary wasted space behind shelves as seen with modular shelving. VL-Systems shelving is on average 30% Lighter by direct comparison with the modular steel shelving units. VL-Systems shelving is much easier to manage as its easy clean and durable giving it the advantage over modular steel. With its honeycombed core design, VL-Systems shelving gives you the advantageous benefit of an 11mm thickness giving it a rigid stance in comparison to modular shelving.